What can we expect from Spring Summer Bridal Fashion in 2019? Well, after my recent trip to London Bridal Fashion week it is clear that we will see a grand departure from our much-loved Boho looks and less structured designs. 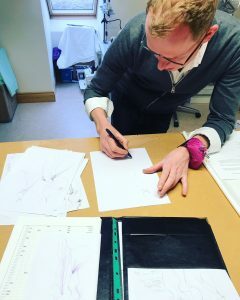 SS2019 will bring more colour, less exposure, more structure, finer details and simplistic design. 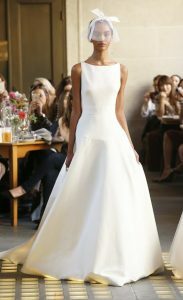 I have picked out the top 5 trends that you will see in bridal fashion Spring-Summer 2019. Yes, more colour and I don’t mean white! Now, this might not be a go for all brides but there is definitely going to be a shift away from our traditional white shades. There will be a focus on blushes, champagne and dusty silver tones. 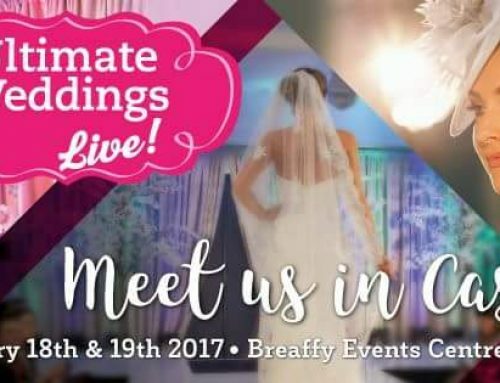 We are going to see more covering-up brides! Well not completely, on the catwalk there was definitely more sleeves, higher necklines and less exposure. Thomas Heverin Wedding Dress Designer. Last year we loved boho looks and with free-flowing fabrics and less structure, but this meant less support! In 2019 we are going to see structure and more support with our designs with simpler, finer details. 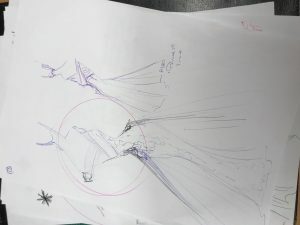 Thomas Heverin Bridal Design Sketch showing finer details. 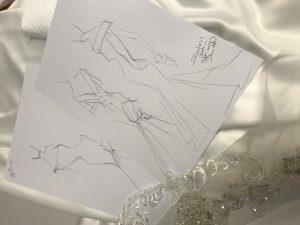 Spring Summer 2019 bridalwear is going to be all about the details and we love it. From bows to intricate designs with laces. The finer details will work with the overall look rather than acting as an individual statement. Pearl and bow detail, sketch by Thomas Heverin. Did we mention details? Well, delicate features and softer details in terms of beadwork, lace and fabrics will prevail next in SS19. 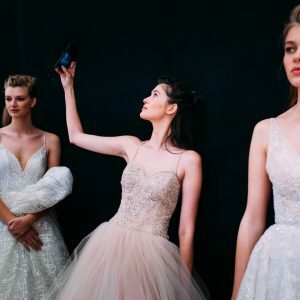 Building to our overall impression of London Bridal Fashion week – Subtle details in bridal gowns, accessories and footwear. 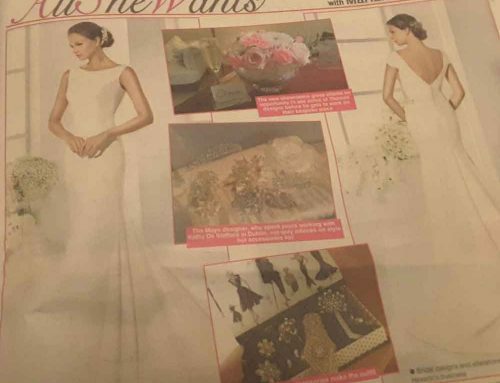 So, where to go for your own bridal gown design? Well, there can go be so many directions, with the latest trends this season or the next, personally, I think it’s best to go with what you love. 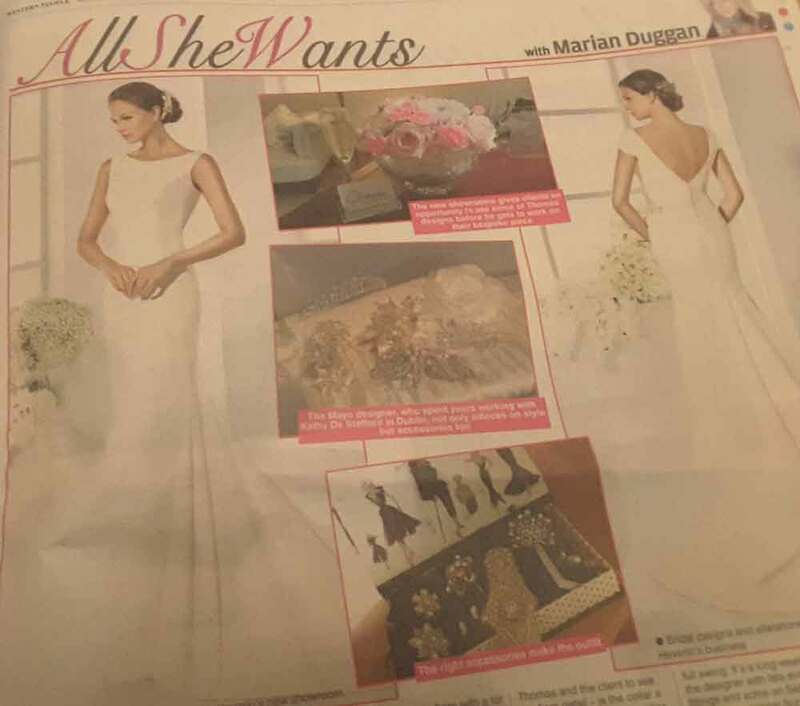 If you have any ideas of questions about your own bridal design, don’t hesitate to contact me by email thomas@ourania.ie or give me a call on 087 410 8346.